Mexico offers the tourist a range of archaeological sites placed throughout the country. All these sites are worth visiting, but the largest ones in the country are the most impressive. Of all these sites, Chichen Itza is the one which remained populated throughout the Classic period and only achieved its place in history much later. 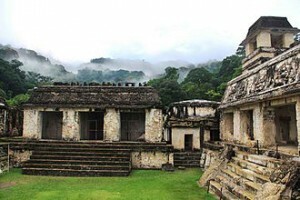 The Palenque site is one of the most impressive and important Mayan sites. It is situated in the jungle of Chiapas and its most famous characteristic is its stunning sculptural art and elegant architecture. During its peak, which was around 600 to 900 AD, it influenced a massive section of the Mayan area, which today is known as the states of Tabasco and Chiapas. Two very important burial sites of rulers were discovered here. The tombs of the Red Queen whose remains had been covered with red cinnabar powder, hence the title, and Pakal the Great. This temple was given this name because of the Mayan script engravings on the stucco panels, which recall the dynastic history of the site. During 1948, a hidden passage in the floor of the temple was discovered which led to the burial chamber of one of the most important rulers of Palenque, Hanab Pakal. This is an intricate arrangement of buildings that are interconnected and courtyards with carvings and sculptures, along with a four-level tower. Palenque can be found in Chiapas, one of the southern Mexican states. It is located about 90 miles from the capital city of Tabasco, Villahermosa, 136 miles from San Cristobal de las Casas, and 180 miles from Tuxtla Gutierrez. Palenque, the town, is situated around four miles from the archaeological area and is a perfect town to spend a couple of days to allow you sufficient time to visit the ruins. There are tour guides available at the sites. 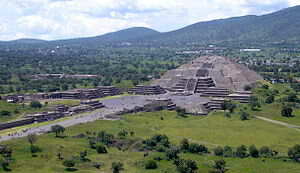 The City of Teotihuacan was once one of the biggest urban centers. At the height of its popularity, the city inhabitants totaled around 100000. It is situated in a valley which abounds with natural resources and was the base of one of the most influential societies in the cultural, economic, religious and political arenas. There are two large pyramids for visitors to climb. These are the Pyramid of the Moon and the Pyramid of the Sun. Both pyramids offer visitors a stunning view from above the site. The city is intersected by a large avenue, which is called the Avenue of the Dead. Although the city was abandoned prior to the period of the Aztecs, they were aware of the importance held by the city, hence its name, which means ‘City of the Gods’ or the ‘Place Where Men Become Gods’. The city also contains stunning carvings and murals and there are a few museums where the history of the city can be explored. An interesting fact about Teotihuacan is that it is not known which ethnic group the inhabitants of the city fell into, nor was it known which language they spoke. In view of this uncertainty, they are simply called Teotihuacanos. The centre of the city was called the Citadel, but it is now located at the most southern point of the area. The Citadel is an open space surrounded by temples which were more than likely used for ceremonies. Across the square, you can climb the stairs to obtain a view of the Temple of Quetzalcoatl. The façade of this building houses a decoration of alternating serpent heads, with a figure. Your next stop would be the Avenue of the Dead. This stretches from the Citadel to the north and to the Temple of the Moon. Here you can view living quarters which have been discovered by archaeologists. The next stop is the Pyramid of the Sun. This is one of the biggest ancient structures within Mexico. It stands 700 feet in width and 200 feet in height. It was built atop a cave, which is 100 yards in length and has the shape of a four-leaf clover at its end, resulting in four chambers. The cave was discovered during 1970. There are around 250 stairs to climb to reach the top of the pyramid. During the days of the spring and fall equinox, people dress in white and commence their climb to the top of the Pyramid of the Sun. Here they stand with their arms stretched out to receive the special energy that is at the site on those particular days. As you can imagine, the view from the top of 250 stairs is stunning. Before you reach the Pyramid of the Moon, there is the entrance to the Quetzalpapalotl Palace. This may have been the living quarters for the ruler of the Teotihuacans. The pillars around the patio of the palace are stone, with carvings of birds. The Pyramid of the Moon can be found at the far northern section of the Avenue of the Dead. The city was abandoned around 800 AD and this is considered as the end of the Classic period in Mesoamerica. You should end your visit to this interesting area by enjoying the view from the very top of the Pyramid of the Moon. The site offers visitors five entrances. If you wish to undertake a complete tour of the site, you should use entrance 1, which is located at the southern end of the area. If you have limited time for your tour, you can commence at entrance number two, which is at the same level as the Pyramid of the Sun. It will also shorten the walk. This ancient city was constructed atop a mountain in the middle of the Oaxaca valley. It was founded by the Zapotecs around 500 BC. The Zapotecs leveled the top section of the mountain to build the main square in the city. This allowed them to maintain control over the valleys for almost 1300 years. Monte Alban was declared a UNESCO World Heritage Site during 1987. The city is located around two and a half miles from the center of Oaxaca City and there are regular buses to the site. This was the capital of the Totonac culture. It played an important role in this part of Mesoamerica after Teotihuacan fell. The city is situated in Veracruz and is an easy day trip from Papantla. The site contains more than one hundred structures, which includes 17 ball courts. The site was declared a UNESCO World Heritage Site during 1992. The entrance to the site has a special area where there is a tall pole. At this point, the dance of the Voladores, which is an ancient Totonac ritual is re-enacted on a daily basis at noon. During high season, it is carried out several times during the day. 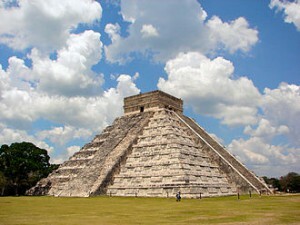 Between 750 and 1200 AD, Chichen Itza was known as the economic and political center of the Mayans. It is located in the Yucatan Peninsula. During 1988, the site was declared a UNESCO World Heritage Site. It has also been chosen as one of the New 7 Wonders of the World. The city is situated around 75 miles from Merida and about 125 miles from Cancun. There are hotels within the near vicinity and you should set aside one day to visit. The site is open from 8am to 5pm daily. There is a cenote close by, called Ik-Kil, and you can enjoy a swim in it after your trip to Chichen Itza. This is one of the most stunning buildings at the site. It has been dedicated to the Plumed Serpent, Kukulkan as each year on the spring and fall equinox, the sun hits the side of the building and the shadows and light it produces gives the appearance of a snake along the building steps. The ballcourt measures 545 long and 225 feet wide, with a raised temple space at each end. The acoustics are so advanced that a whisper at one end can be heard clearly at the other end. To ensure that you enjoy these stunning sites, you should obtain Mexican car insurance before you leave home. This will ensure that you are adequately covered in the event of an accident and will not have to spend any time in jail. Who wants to sit in jail when you can visit these stunning sites and all it takes is to go online, choose your policy, pay for it and print it out. It is an extremely simple process to obtain Mexican auto insurance. 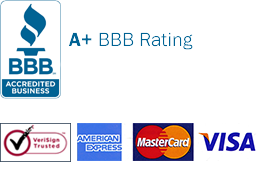 You can click here to purchase your Mexican auto insurance. I travel a lot to Mexico and my favorite place to visit is Baja. I’ve been hearing good things about the place and I was amazed to witness its natural attractiveness. However, going there gives me struggles like in my driving. I bought my Mexican auto insurance to alleviate my worries. If you drive to Mexico without car insurance, you’ll be forced to buy at the border. It will be hard for you to buy what you want. Most likely there’s no good policy to choose from. You will end up buying a policy you don’t want. Buy your Mexican auto insurance online before you go. I wouldn’t like being in jail because I didn’t comply with the Mexico law. My Mexican insurance is with me. Anytime I need it or if an authority asks for it, I have something to show. I don’t take things for risk, especially for driving. I think I really need this. I am surprised how Mexican Insurance Store managed to help me when I needed to get help with my claim. I was professionally assisted by their polite customer service. My claim was also settled quickly too. This is the kind of service I’ve been looking for. For my protection, I bought Mexican insurance to take me to my adventure in Mexico. The first step I did is to purchase it with quality coverage. Anytime I want to visit the city, I’m sure this protection goes with me. There are plenty of unique items to buy in Mexico that are not available in US stores. Antiques and ingredients for traditional Mexican cuisines are some of the items I often cross over to buy. Due to my frequent visits, I always take my semi-annual Mexican auto insurance policy online in advance. Rosarito is one of the most spectacular beaches to experience. It is a place that I frequent during holidays just to relax my mind from the hassles of LA. Thanks to Mexican Insurance Store that I always easily get my car insurance policy online. Sometimes you may have good intentions to help but eventually hurt or get hurt in the process. To avoid such heartaches while volunteering your services in Mexico, it is important to understand Mexican laws and customs. One important law that you mustn’t forget is the requirement to have Mexico insurance policy while driving on Mexican roads. Medical services in Mexico are relatively cheaper than in North America. However, not all medical needs can be fully attended to as in the North. You would still need to keep contact with your doctor just in case of emergency. Medical Assistance as part of your Mexican insurance package can be of great help. If you’ve got yourself stranded or at risk in Mexico roads, contact Mexican Insurance Store insurers (I buy ACE Mexico insurance) right away. You can quickly alert them anytime. There are crews that offer protection and car care through the roadside assistance team. Exploring Mexico for weeks would be enough to experience its coolness and beauty. In fact, more and more people prefer to stay in Mexico after getting a wonderful vacation. Shopping in Mexico is absolutely wonderful. Prices are even more expensive when you go to other countries just to shop around. But Mexico is entirely different. I love those items only found in Mexico. Shrimp festival in Mexico includes shrimp cooking competition. Chefs are around to show off their finest dishes. Just getting excited!